Got a pop up from Instagram saying Blackstone was doing a live video. Since I’m over this day at work I figured I’d watch it. 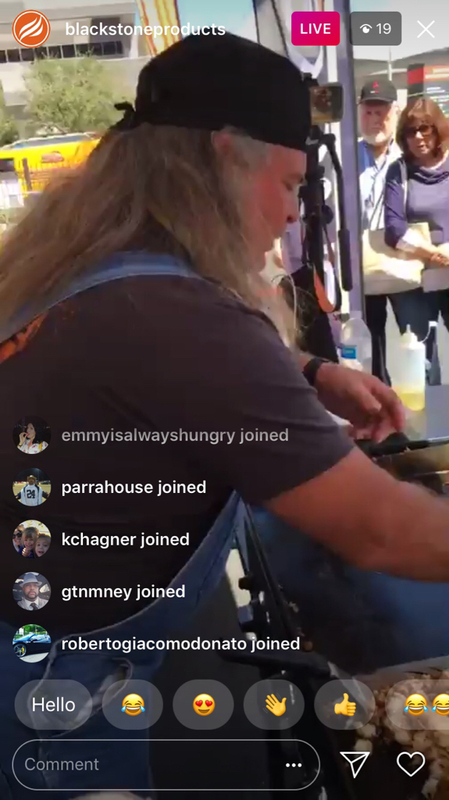 When they panned up to the dudes face cooking I realized it was Bruce from Swamp People. Grabbed a couple screen shots. Cool Stuff, especially the Free Plug for Gator and Co.
Makes me wanna grow my braids long again In 2002 when Sherry and I first got together it was almost as long as Bruce's. Cool pics, we go to a Japanese chef, man he chops up eggs real quick. Using 2 spatulas. Weve been to a few with these guys. Real showmen. Bruce is a national spokesman and ambassador for SuckleBusters. Great guy! Looking forward to some great videos and recipes in the future. That’s cool Limey. I did not know that. limey wrote: Bruce is a national spokesman and ambassador for SuckleBusters. Great guy! Looking forward to some great videos and recipes in the future.